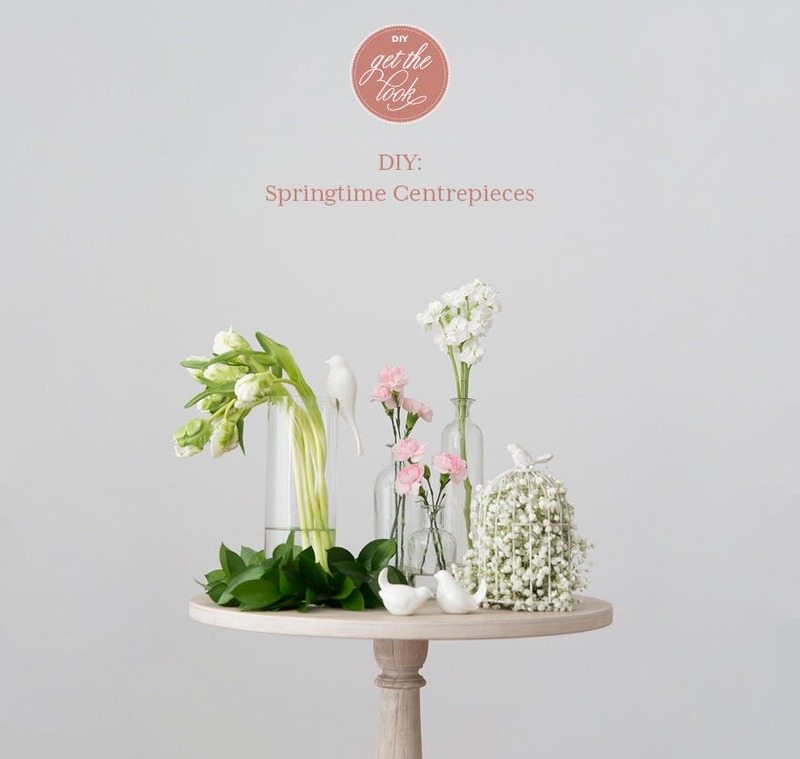 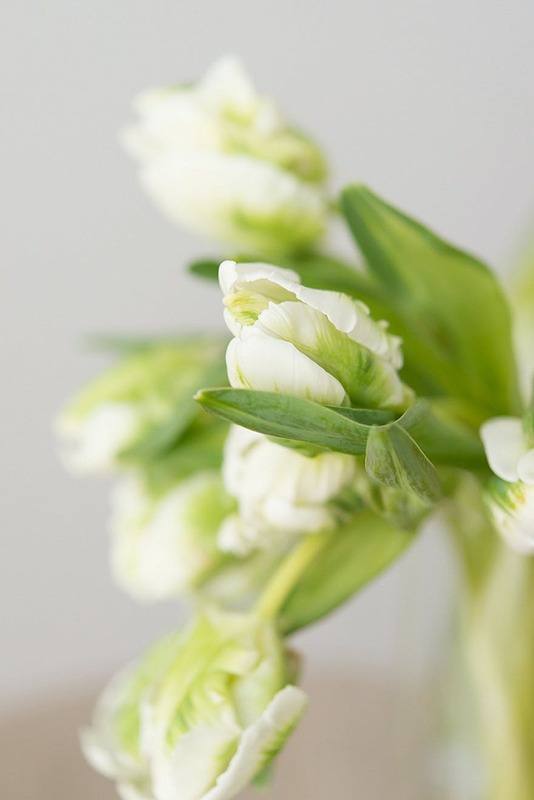 Capture the magic and freshness of nature with a lovely DIY spring centrepiece. 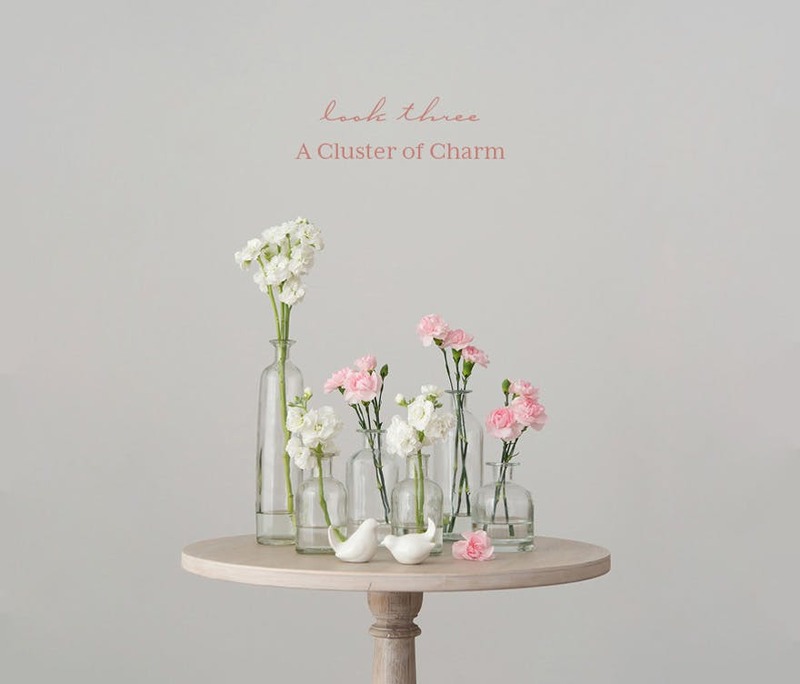 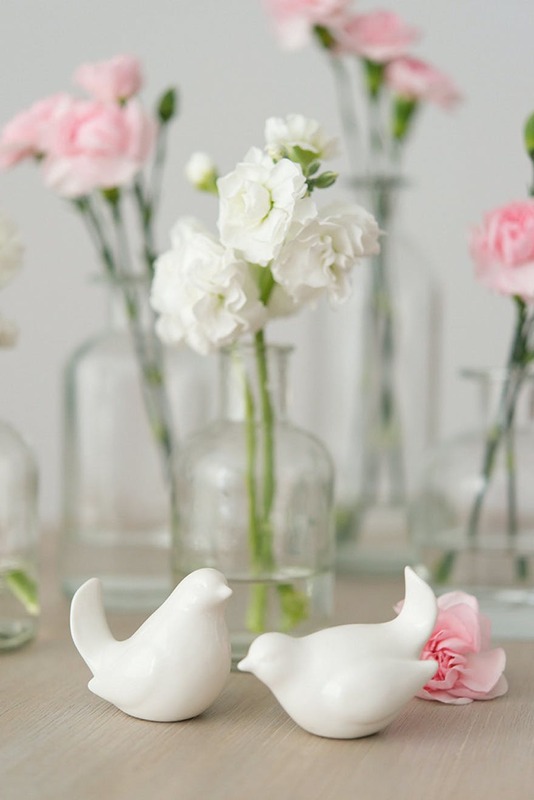 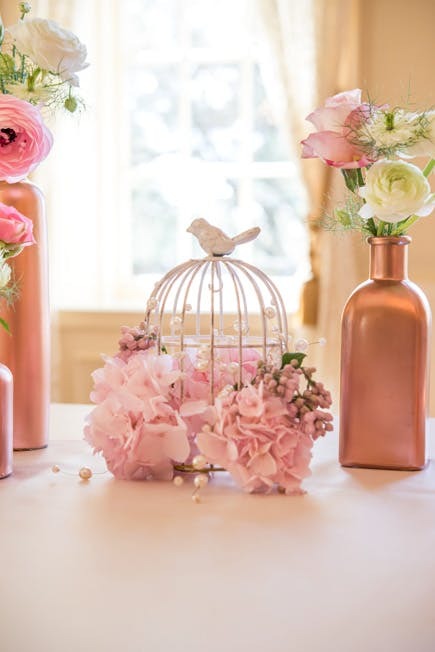 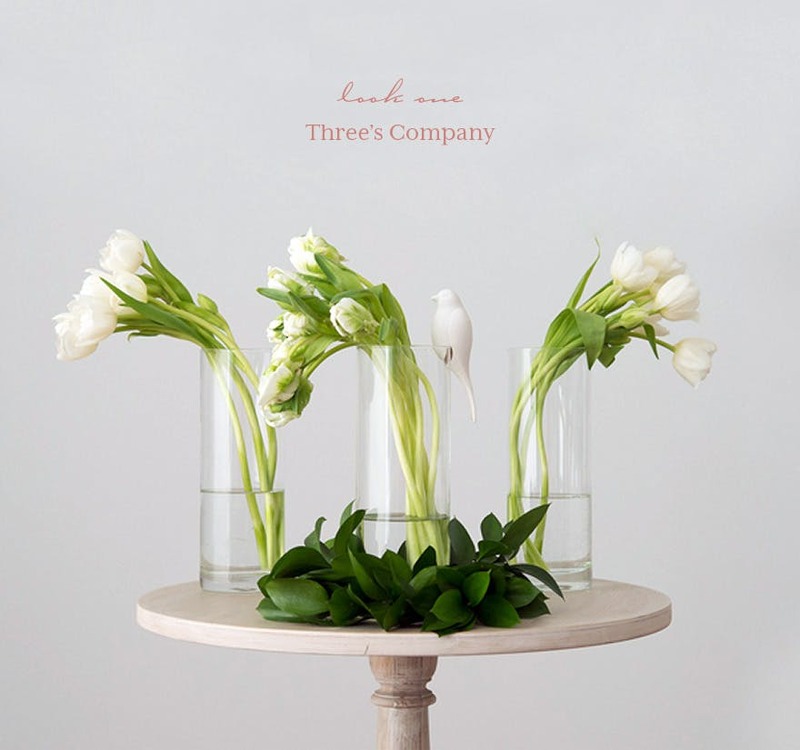 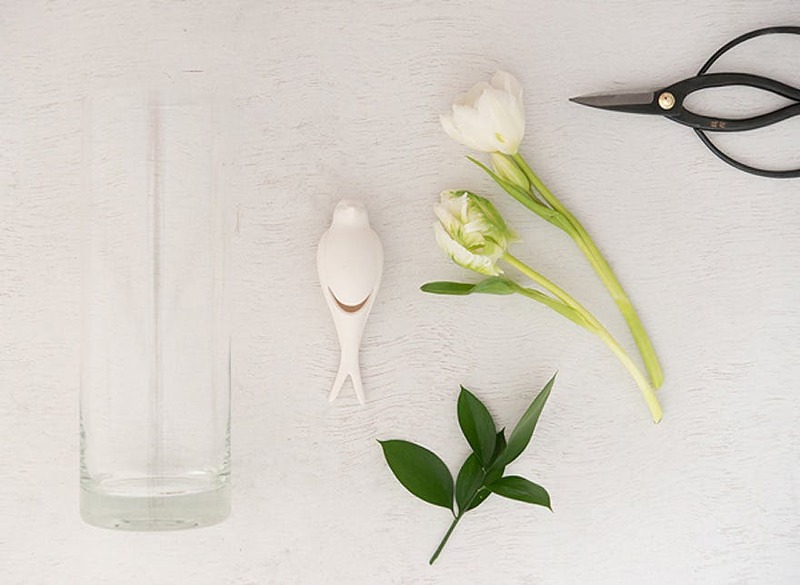 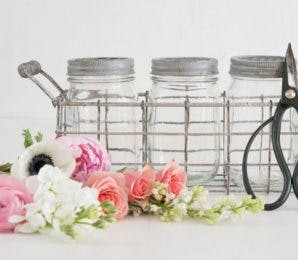 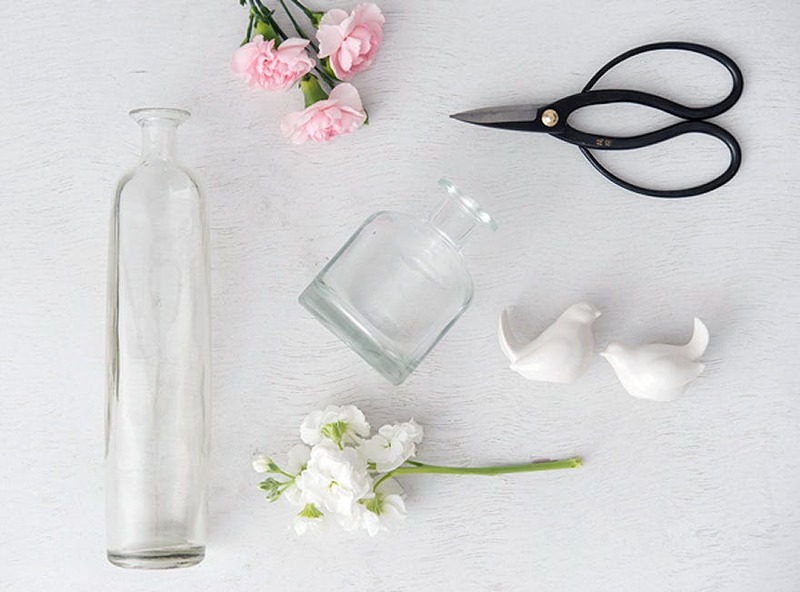 With this DIY tutorial we’ll show you how to achieve a sophisticated, classy, yet simplistic look with our vases, bottles, and pretty birdcage centrepieces using tulips, baby’s breath, and carnations. 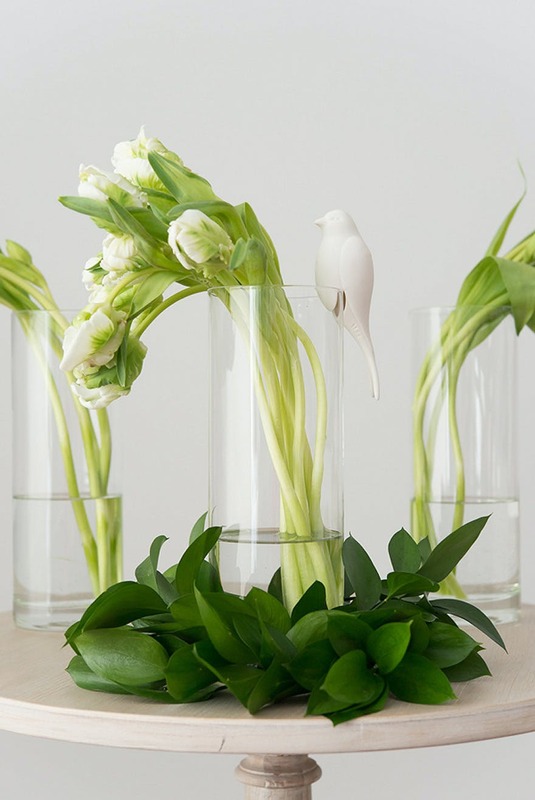 Simply fill your vases with cuttings of tulips (with water) and arrange your final vases in the centre of your wedding table. 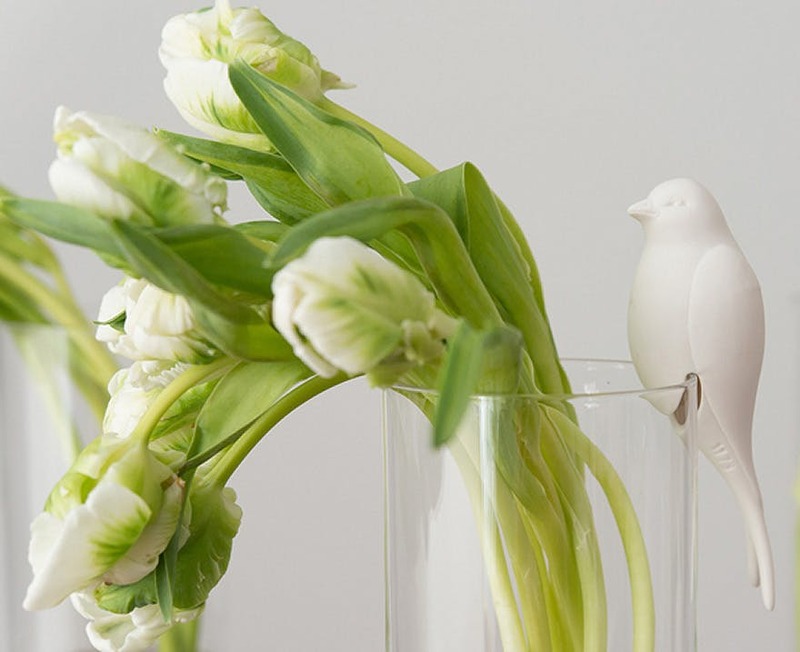 We completed this look with one of our gorgeous ceramic perching birds and an arrangement of israeli ruscus like a wreath below the central vase. 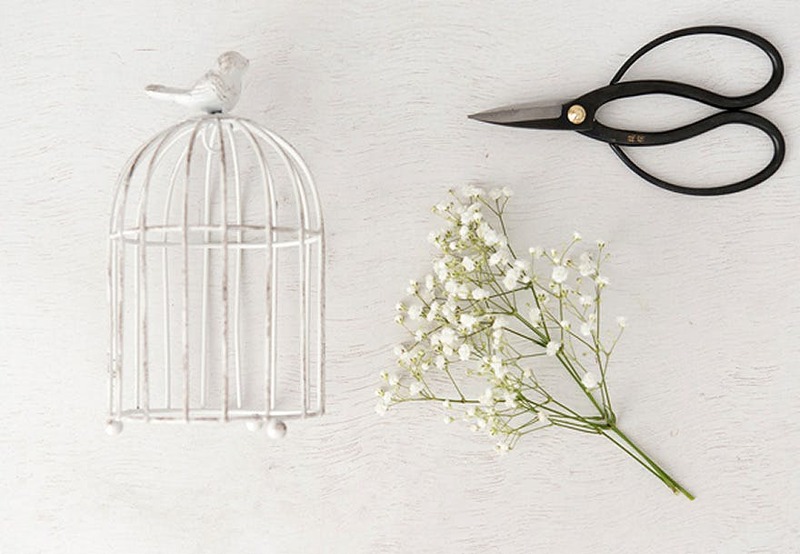 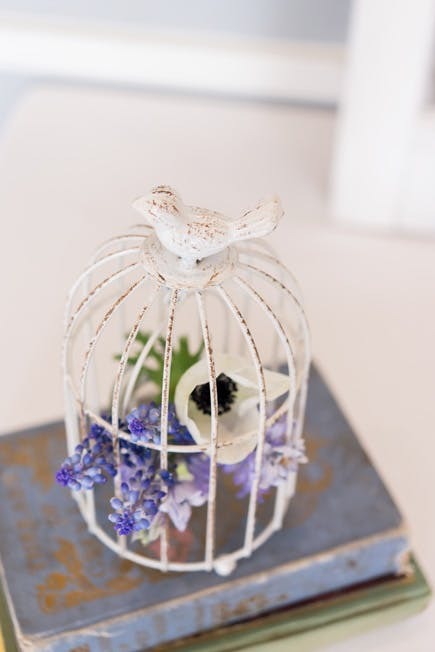 Once you’ve removed the tealight holder from the birdcage, you can start to add the flowers to the inside of the empty cage. 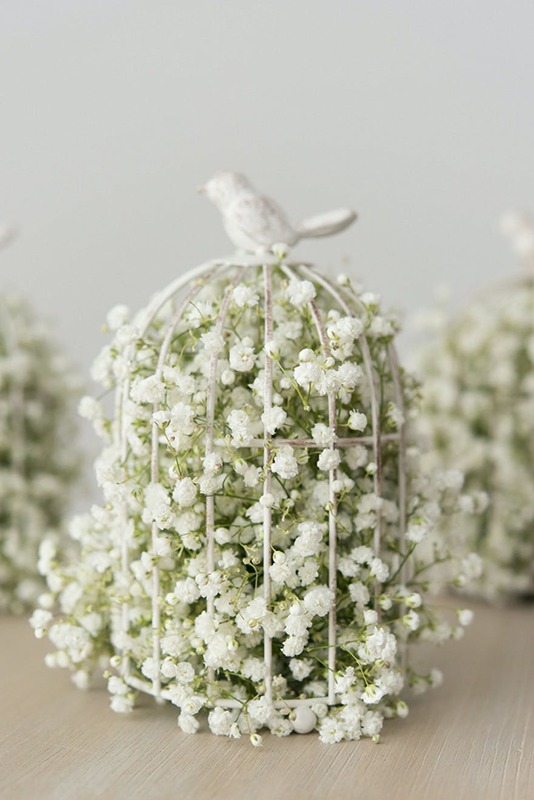 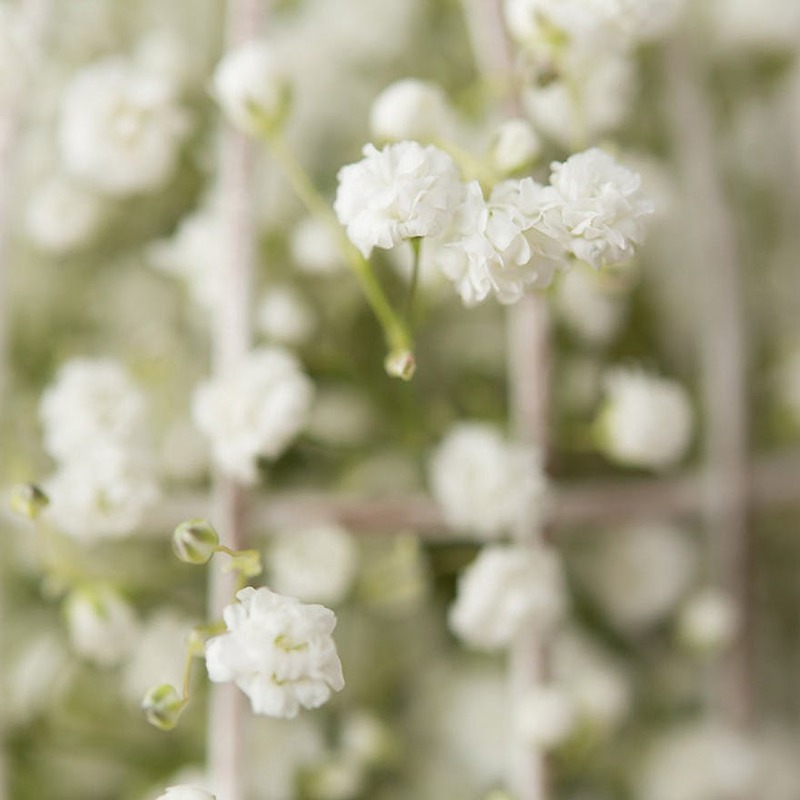 Be sure to trim the stems to an even size, as this makes it easier to fit them inside the birdcage, and fill the cage with as many flowers as you like. 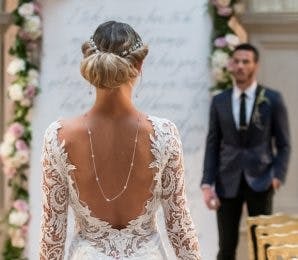 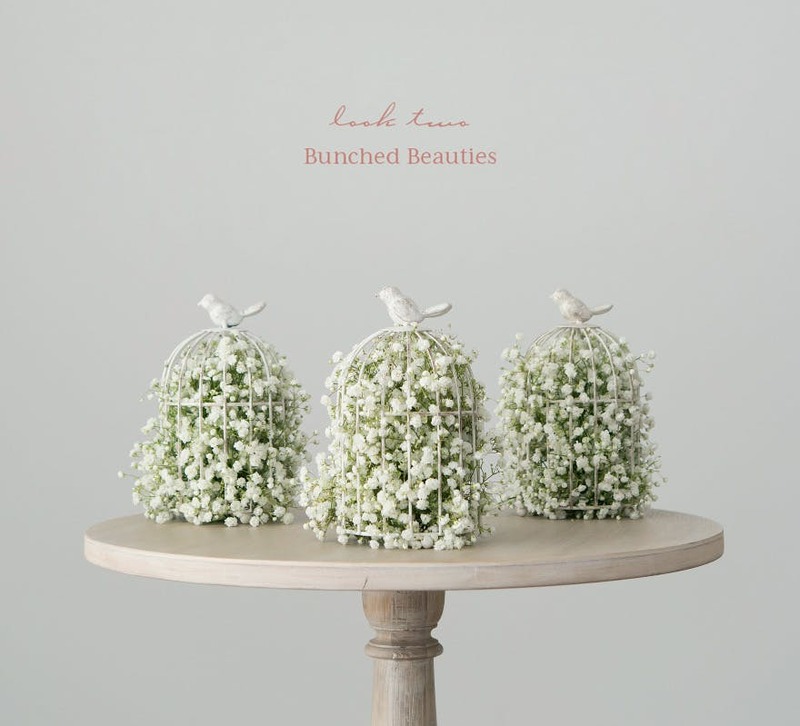 In order to get a beautiful voluminous look, we packed in as many as possible without crushing the stems and tried not to incorporate stems that were too thick. 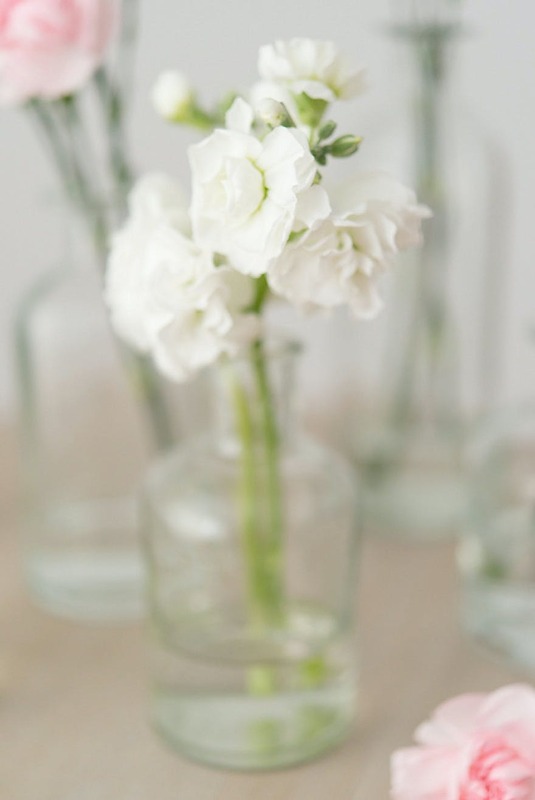 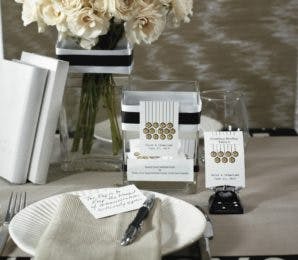 #1 – Using the suspended tealight holder as a miniature vase of water, in which you can add short cuttings of flowers. 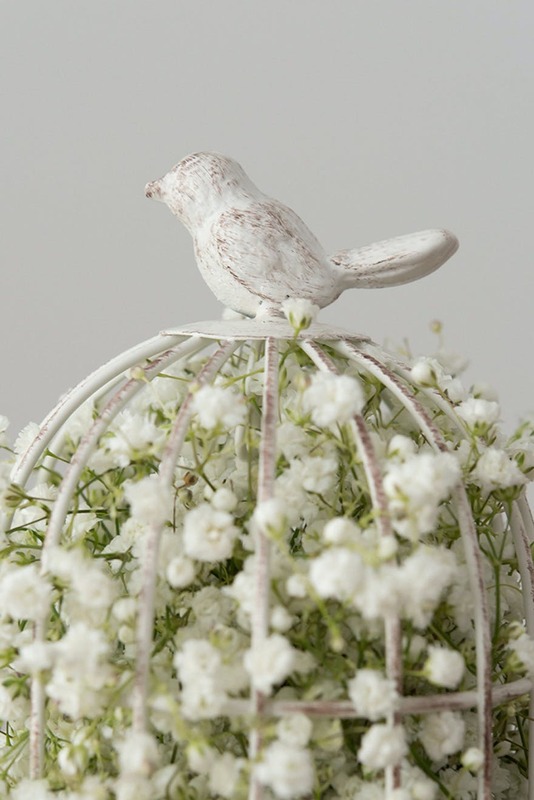 #2 – Adding a wreath of flowers to your birdcage, woven with a vintage gold wire and pearl garland. 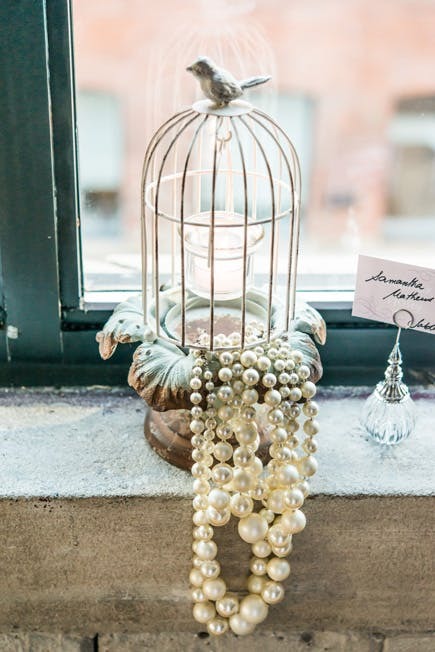 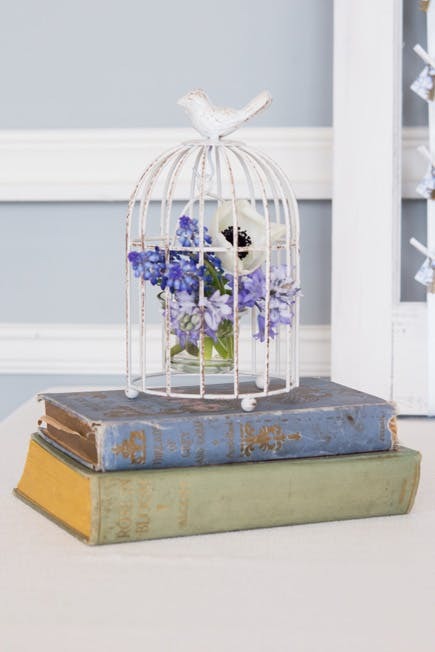 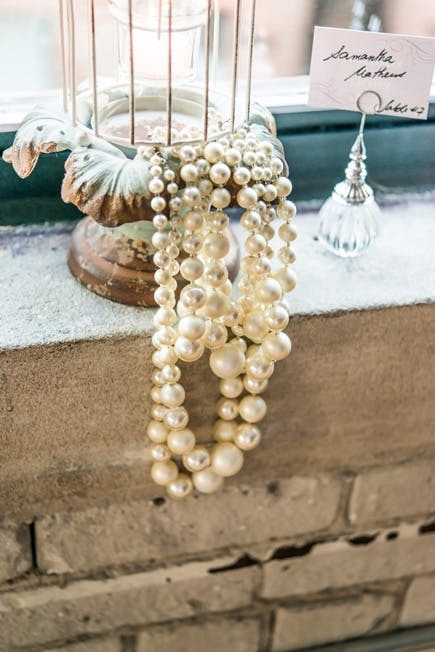 #3 – Raise your birdcage on something like our iron pillar candle holder and finish the look with overhanging strings of pearls. 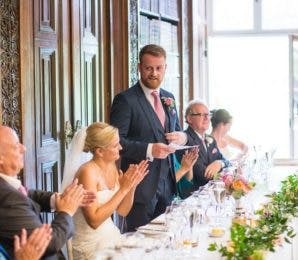 And there we are! 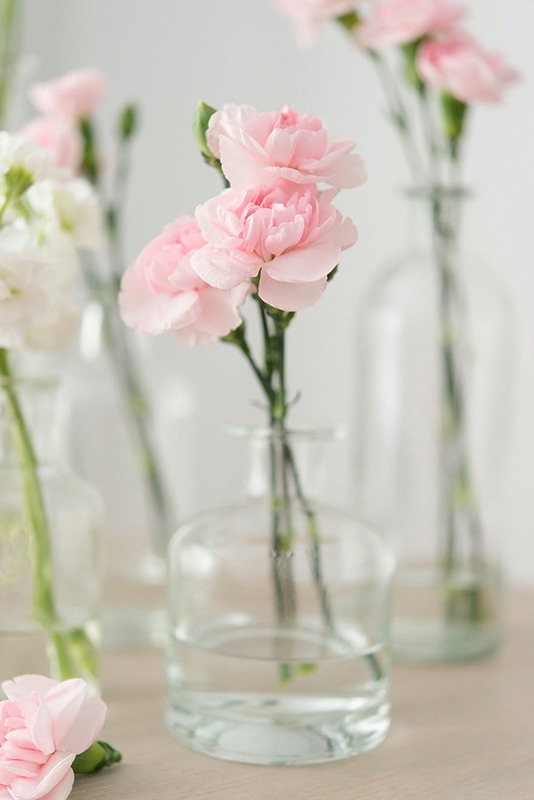 Simple yet stunning! 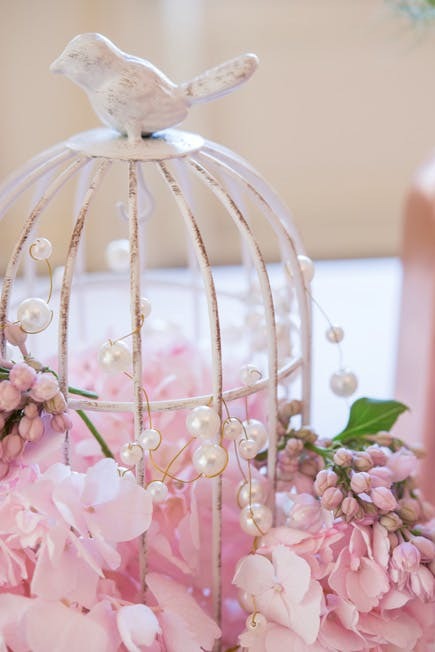 Find more wedding DIYs in our inspiration pages and see more beautiful Spring Wedding Decor ideas here.